The Vlookup function looks for a value in the leftmost column of a table and then returns a value in the same row from a column you specify. 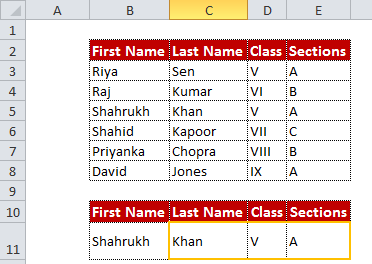 lookup_value - It is the value to be found in the first column of the table. col_index_num - It is the column number in table_array from which the matching value should be returned. 1 (TRUE) - Find the closest match in first column sorted in ascending order. Note : If you don't enter a value in the fourth parameter "range_lookup" of vlookup, excel will consider 1 as a logical value i.e. closest match. 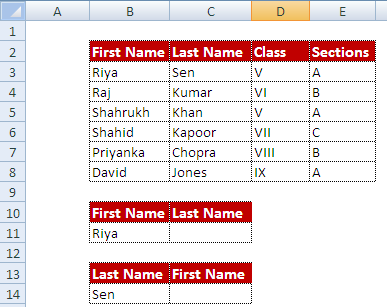 Suppose you have data for students' names and their classes and sections. 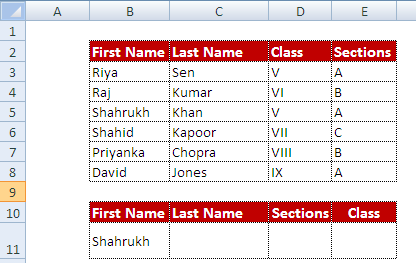 You want to find the class name for a student in the data table. To make VLOOKUP work, you need to have a lookup value in the first column of the table. If your look up value is not placed in the first column of the table, it will return #N/A error. After applying the formula in cell C11, paste the formula to the right (Select the cells C11 through E11 and press CTRL + R). 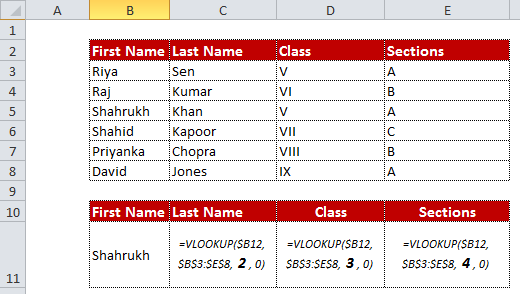 6 Responses to "VLOOKUP Function and Its Uses"
Can you please explain how to find duplicate value in two different sheets using Vlookup and IFERROR . It will be of great help . And congratulation for such a wonderful site on Excel, SAS and analytics all together . Hey Its really helpful to understand VlOOKUP. Thank you ! 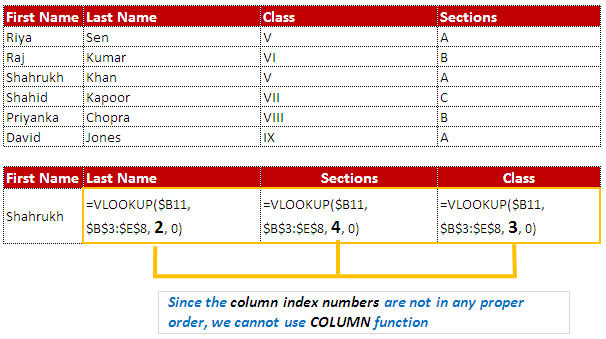 I have one doubt, In the Section how column works ? You have mention "Select Cells C11 through C13 and then press CTRL+R " but i think it should be "Select Cells C11 through E13 and then press CTRL+R". But on doing that, The counter value increases but "Look up value" changes and hence it shows N/A. And to fix that we need to manually change to the look up Value. Can you please make this understand ? It should be cell C11 through E11 and then Press CTRL R. I have corrected it in the article. You can fix the reference of the cell column so that lookup value does not change automatically. 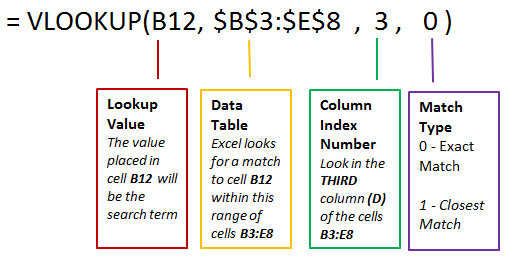 For example, cell reference of lookup value is B11 so you should use $B11 in the first parameter of VLOOKUP (Mind the $ Sign before B). Hope it helps! Very useful and dimple explanation.